A terrible inferno can melt the coldest of hearts. 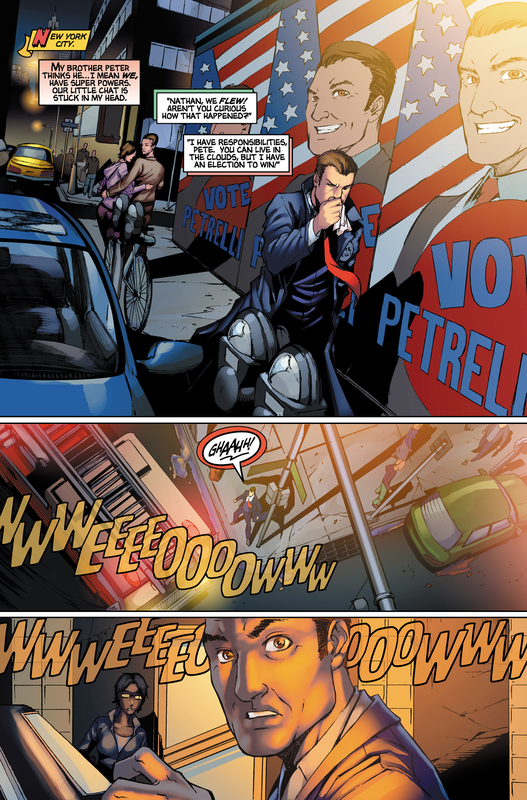 Nathan Petrelli walks down a New York City street past some large campaign posters of himself. 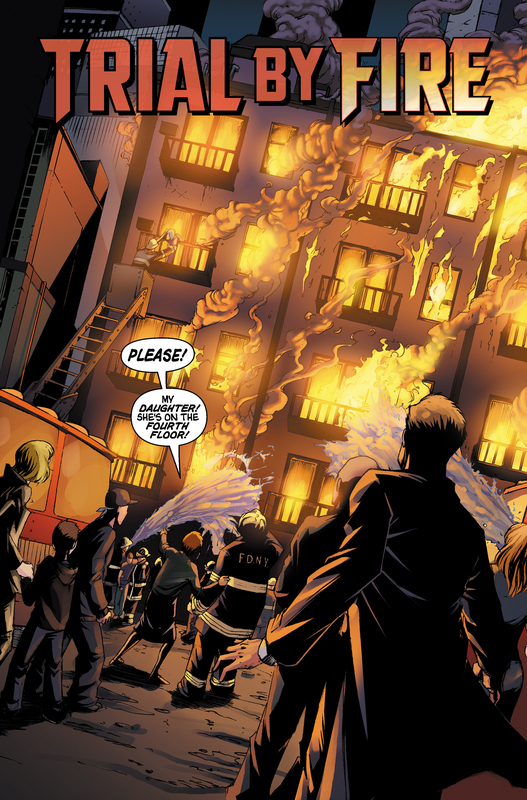 Soon he comes upon a burning apartment building where he discovers that a girl is trapped inside. 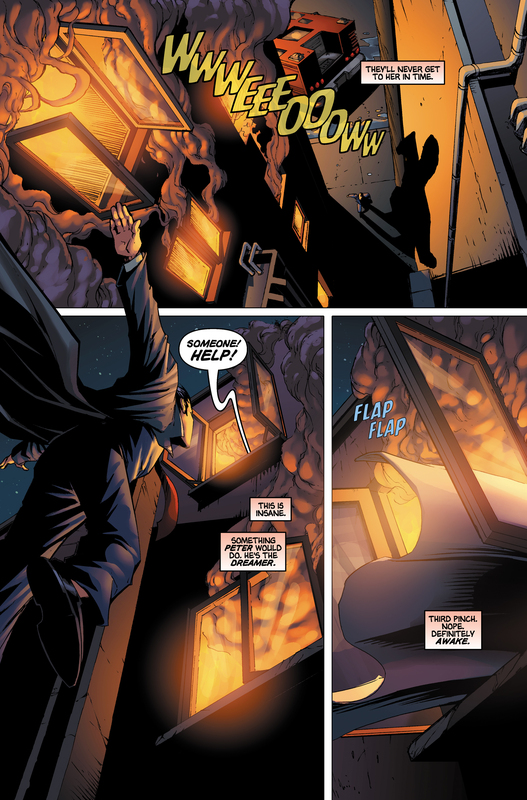 Nathan uses his powers to fly up to the 4th floor and save the girl. When he returns her to the ground he makes a quick getaway. 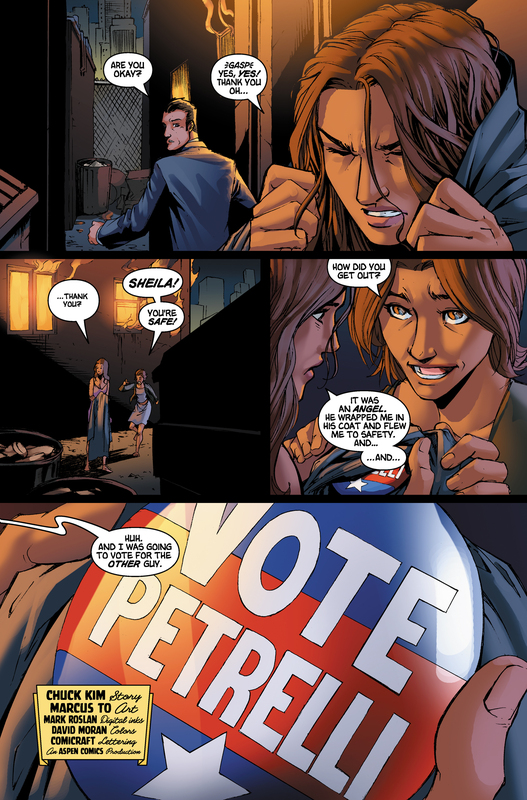 The girl then sees a campaign button on Nathan's jacket, causing her to change her vote which originally was going to Nathan's opponent. The story that takes place in Trial By Fire fills in the "holes" of One Giant Leap. 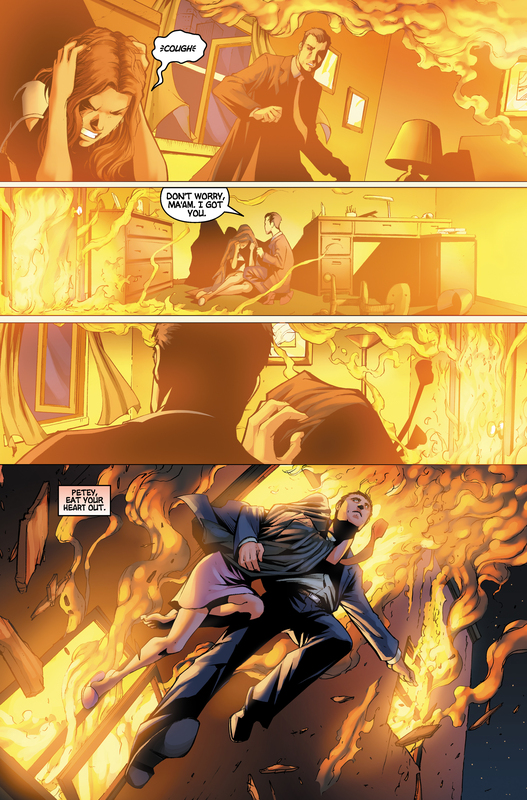 Trial By Fire tells what happened after Nathan had his argument with Peter. For images from Trial By Fire, see images from Trial By Fire. 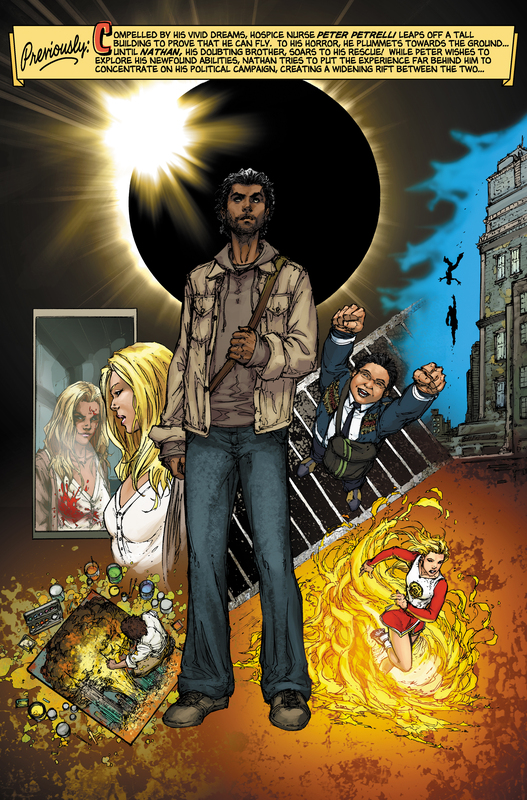 For Marcus To's original art from Trial By Fire, see here. This page was last modified on 20 August 2015, at 21:32.